Recent sleep surveys indicate that 40% of Australian ladies are not logging in healthy amounts of sleep  each night. Seven to eight hours of deep, peaceful slumber is necessary for the body to function optimally, and as recent studies  verify, good sleep and rest is important for our health and beauty as this is the time that biological maintenance happens. If the eyes are the windows to the soul, then your skin is definitely the window to the health of your body. Bags, puffiness, dull skin and rashes can all be indicators that your body isn’t receiving the sleep it needs to maintain healthy appearing and healthy functioning skin. And let’s be real, dark circles do not look good as a natural eyeshadow either. 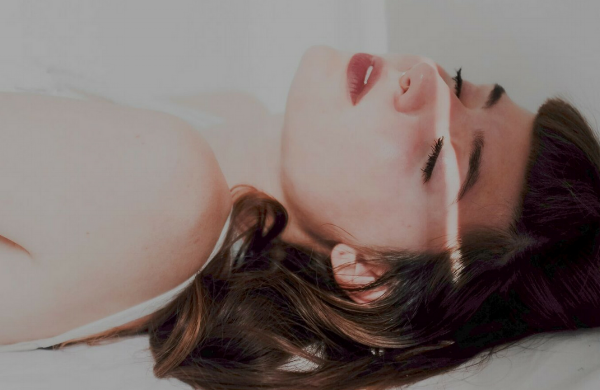 All the biological maintenance that your skin requires, such as collagen synthesis, is done at night when your body is in a deep slumber, so it is no secret that good sleep is vital to our health and beauty. Whether it be that you’re too tense to switch off at the end of the night, or that you can’t get the most out of your dreamtime, there is a natural remedy available to assist in catching those Zzz’s and assure a peaceful slumber that will achieve healthy, radiant skin. Qsilica Skin Regeneration BEAUTY SLEEP tablets are formulated to provide a dual action approach to ‘beauty sleep’ by supporting your body’s natural regenerative processes overnight. It works by promoting sleep with natural ingredients such as valerian, hops and chamomile. Grape Seed and Pine Bark provide antioxidant support and mineral silica promotes collagen synthesis. 1. Try to establish a body clock by setting up a sleep routine. It may be inconvenient at first, but it is easy to implement as a habit and your body will thank you for it. Try to aim to be in bed by 10pm each night to start with then modify as needed to suit your lifestyle. Did you know every hour’s sleep you catch before midnight accounts for three additional hours rest to your body clock? If restless sleep patterns persist, seek medical advice from your GP.